It's that time again, and no, we don't mean the time for pumpkin spice. It's never time for that. It's time to pick your Halloween costume. 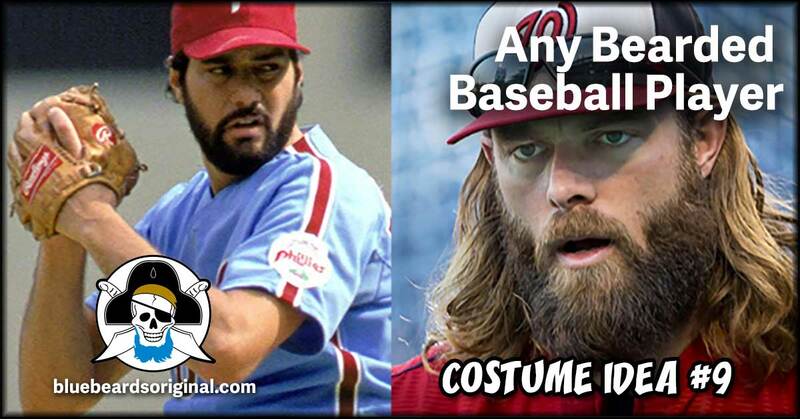 Like we did last year and the year before: costumes specifically for bearded guys. This time we're going to spread it out and give you a handful at a time. So keep an eye over the coming days for more options. Last minute invite? Couldn’t be bothered? Doesn’t matter. If you own a baseball hat, man, that’s all you need. Chances are there’s been a bearded guy on your favorite team. If not now, then probably in the 70s. Show up to the party dressed however you want. When they ask you who you’re supposed to be, say, “Hey! I’m Jason Werth!” Or whoever. Reach back if you have to. “I’m Steve Bedrosian.” Whatever works. There's a long line of great characters played by former Disney child star Kurt Russell. Didn't know he was a child star? Not surprising, considering how badass he is, everywhere from Jack Burton to Snake Plisskin, to Wyatt Earp ("Tell 'em I'm comin'. And hell's comin' with me!"). Here he is as the beardiest of the bunch, R.J. MacReady in John Carpenter's the Thing. This is Dr. Richard Kimball -- not to be confused with Schwarzenegger's Detective John Kimball. Dr. Kimball was on the other side of the law, though wrongfully convicted, set up by the mysterious "one-armed man." The reason this falls in the crafty category is that unless you look like Harrison Ford, you're not pulling it off. Unless of course you get crafty and go specifically as his mugshot. To be the Fugitive you can actually get away with a simple white t-shirt as long as you make the right props. Using foam core or white cardboard, you want to construct the upper portion (at least) of the mugshot height chart seen behind his head. Add the prisoner ID placard he holds, you can either carry it, or to free up your hands, wear it on a chain or string around your neck. Now with your hands free, you can really bring it home with a prosthetic or even in a pinch a mannequin arm. Label it the "real killer." If that doesn't win best costume you're going to the wrong parties. The final piece for all of these costumes is a real beard. And to keep that looking it's best, you want to make sure you're using the top rated quality beard care since 2005: Bluebeards Original.